Pharmaceutical companies spend billions annually on influencing physicians and other pharmaceutical providers, to write more prescriptions for their products. For most companies, the majority of their marketing budget is dedicated to direct contact with doctors, offering token gifts and free lunches, in tandem with information on their products. Many aspiring medical practitioners and physicians are unaware of the impact this can have on their practice and their patients, with recent studies revealing the full extent of this influence. Fortunately, there are those dedicated to preparing today’s students on where to draw the line when pharmaceutical reps come calling. Today, we talk with Dr. Elizabeth Gundersen, the Director of Ethics at Florida Atlantic University in Boca Raton, Florida. An expert on physicians’ vulnerability to the pharmaceutical industry, Dr. Gundersen’s ethics class helps prepare students for ethical challenges they face as future as practicing physicians. Elizabeth Gundersen, M.D., serves within the Charles E. Schmidt College of Medicine as the Director of the Ethics Curriculum, Director of the Geriatrics & Palliative Care Clerkship, Associate Director of the FAU Internal Medicine Residency Rotation in Geriatrics & Palliative Care, and as a Learning Community Advisor. Dr. Gundersen is dedicated to training well-rounded, quality-minded, and patient-centered physicians. 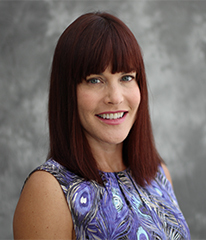 Her professional and clinical interests include care transitions and reducing readmissions, ethical dilemmas in medicine, end-of-life care, and improving communication in healthcare. Dr. Gundersen is a member of the American Board of Family Medicine and is additionally fellowship-trained and board certified in Hospice & Palliative Medicine.